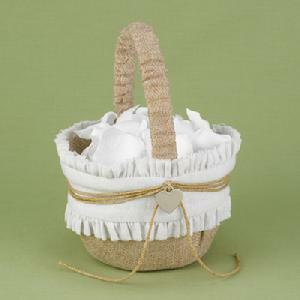 20522 - Natural burlap basket with white, gathered cloth layer, twine and silver-tone hearts. 8" tall. Petals not included.